Babydam > Parenting Tips > What Is Sleep Regression? Perhaps you’re a parent to be and you’ve heard the word ‘sleep regression’ across social media and thought WHAT? Or maybe you’re currently into the throws of sleep regression with your baby and not actually recognising what it is. If you don’t fall into the above categories then you’re probably just a little bit curious as to what it is. If you know of parents, follow parenting bloggers or have children of your own then you’ll almost of definitely come across the word at least once. It seems to be something that we’re hearing more about than ever before. But perhaps that’s just the ever expanding world of social media that’s allowing us to know and absorb this sort of terminology better than ever before. So, what is sleep regression? Sleep regression describes a pattern of behaviour and a period of time where a baby who has been sleeping well through the night suddenly starts waking up in night or skipping naps, and waking up early for no apparent reason whatsoever. It’s no surprise that this activity of behaviour can initially cause concern to parents as it may lead you to believe that your baby may be unwell. But if it is sleep regression, the good news is it is completely normal, albeit annoying and utterly exhausting for a parent. When Can Sleep Regression Occur? All babies will probably (unfortunately! ), experience sleep regression at some point in the early months, but it can vary from baby to baby at which age these changes start to happen. However, there are some key ages that babies and toddlers will go through a sleep regression. The 4 month sleep regression is the most common. 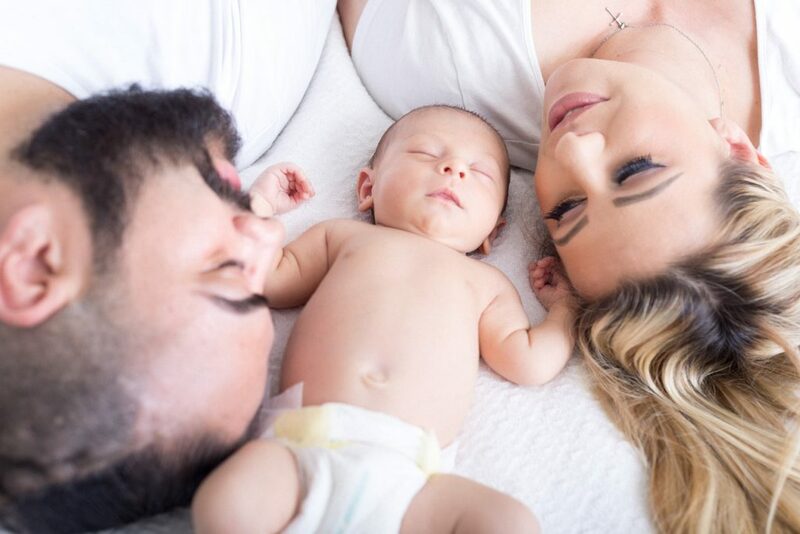 Your baby has moved past that sleepy newborn phase now and will be starting to sleep more like an adult which can equate to waking up more often, skipping naps, or shortened naps and fussing when they do wake up. Around 8, 9 or 10 months there are a lot of developmental changes that are happening to your baby that could cause this sleep regression. They’ll be cutting more teeth than ever, crawling and maybe even walking. They’ll even start babbling their own little words and absorbing more of the world around them than ever before. With so many important changes and development taking place at this key time it can cause fussiness and an interrupted sleep pattern than can cause frustration for both the baby and parents! Sleep regression can also rear its ugly head during the 11, 18 month and 2 year period. Whilst these are the key periods for sleep regression, it can happen at pretty much any age, after all, as adults we know only too well how it can happen just as much when we’re older! Now we know what sleep regression is and a bit of an idea when it can strike, how can we snap them out of a sleep regression and get them back to their regular sleeping pattern? Continue with a structured bedtime routine and start it earlier if need be. Run a nice soothing bath, followed by a baby massage and a book in bed. Helping them to really relax and get sleepy before sleeping will help them to drop off and maybe even fall into a deep sleep. Growth spurts go hand in hand with sleep regression. Don’t be afraid to offer extra feeding during this time, both during the night and even during the day time as it might just be what they need to get through the next developmental stage. Provide plenty of comfort and support during this time, without making new habits that will be hard to break once the sleep regression is over. Avoids things such as offering a dummy to calm them, rocking them back and forth and taking them out of their crib/bed each time they wake up. Accept help! You can’t do it all, and when you’re also exhausted and dreading another night of interrupted sleep lean on other people for help. Get family or friends to give you a night off for a good nights sleep and take it in turns with your partner to share the load during night time. A problem shared is a problem halved after all! Remember, the sleep regression doesn’t leave over night! It takes consistency, time and patience, it will get better in time and you’re doing everything you can to help them. Don’t forget, it’s completely normal and knowing what might be instore for you will provide you with the knowledge and preparation that you need before the first sleep regression arrives! How do you find ways to manage your little ones sleep regression? Keep up to date with the latest news from BabyDam over on our Facebook page or Twitter!